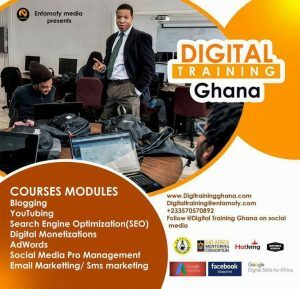 Digital Training Ghana has announced a one month Professional Training On Pro Blogging, Youtube Monetizations, Social Media Management, Google Ads and SEO to train interested participants in Ghana. The flexible training module is structured to be taken during weekends (Fridays, Saturdays& Sundays) to enable all and sundry including professionals with busy schedules partake in the career oriented training. According to the organisers, the training which is being powered by UAE Africa Mentorship Consortium & Entamoty Media Limited will be admitting only 25 participants and will halt registration on February 5, 2018. New Media and the Digital space is currently trending globally as a major source of employment with various areas of specialization and focus. Ghana is no different as the country has seen a surge in the number of social media marketers and digital agencies. Most companies and media houses have embraced social media and some research have indicated that social media is the number one source of news and information for most people in recent times. Another area making leeway is vlogging or Youtubing. Video blogs are rising in popularity and has become full-time jobs and the main source of income for many. 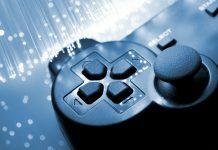 In recent development, Google announced new regulations to tighten their policies around monetising YouTube content in a bid to deter some unscrupulous people as well as properly regulate the Youtubing.